The Essex Rebellion of 1601 was the second and last major rebellion against Queen Elizabeth I. It was led by Robert Devereux, Earl of Essex (1566-1601) a man many would have thought the last to rebel against the ageing Queen. Not only was he one of her favourite courtiers, but he was the step-son of her great favourite, Robert Dudley, Earl of Leicester; the husband of Sir Francis Walsingham's daughter; had been a ward of William Cecil, Baron Burghley (the Queen's trusted Secretary of State), after his father's death in 1576; and he was related to her. His great grandmother was Mary Boleyn, sister of Elizabeth's mother, Anne Boleyn. 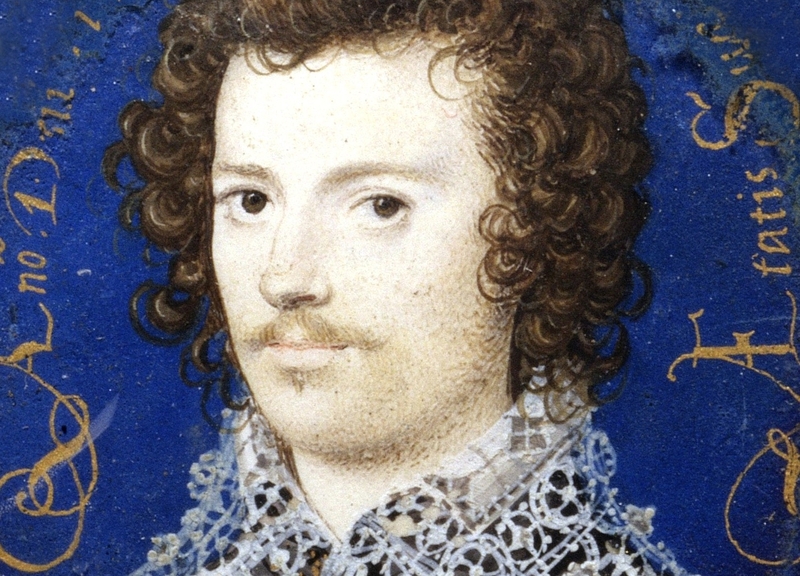 Given his connection to all the men closest to Elizabeth, and his good looks and charm, it is unsurprising that the young Earl quickly became one of the Queen's favourites. The Queen liked to replace much trusted and missed statesmen and courtiers with their sons after their deaths, and she hoped the young and dashing Earl would help fill the void left in her life by the passing of Robert Dudley, Earl of Leicester. 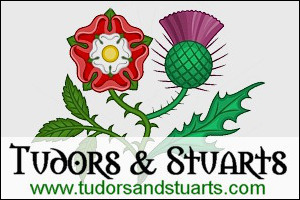 In 1587 The Earl was made Master of the Horse, a position Leicester had held since the Queen's accession, and after Leicester's death in 1588 he was given the Earl's very lucrative monopoly on Sweet Wines. The Queen greatly enjoyed Essex's company and lavished him with gifts and attention. Over the centuries the exact nature of their relationship has been the subject of much speculation, many believeing they were lovers, but while this is unlikely, their relationship was definitely charged with the romanticism of the renaissance courtly love ideal (i.e. the Queen is a beautiful maiden to be 'courted' by dashing knights). But unlike his step-father, and other famous Elizabethan courtiers like Sir Christopher Hatton, Essex struggled in the role. He did not always show Queen Elizabeth the respect she deserved, behaving sometimes like a spoilt child, and this put a considerable strain on their relationship. It is said that during one heated exchange between them in the Privy Council (of which Essex was a member) the Earl almost drew his sword against the Queen after she boxed his ears. However, the Earl was not always at the Queen's side. He had a family of his own and was engaged in several military and naval expeditions over the years. He fought against the Spanish in the Netherlands in 1586, did well in the Battle of Zutphen (in which Sir Philip Sidney was killed), and after further expeditions of various success, finally distinguished himself by playing a commanding role in the capture of Cadiz in 1596. He returned a national hero but a year later was in trouble with the Queen for disobeying her orders during the Islands Voyage, a naval expedition against Spain led by Essex and Walter Raleigh. Instead of first destroying the Spanish Battle Fleet as ordered, Essex pursued the Spanish treasure fleet instead. This meant that when Spain sent a third Armada expedition against England that October, the English fleet was otherwise engaged leaving the coast and channel almost without defence. The Queen forgave Essex, however, as she always did, and gave him full command of the English fleet upon his return. But it was bad weather, rather than naval excellence, that dispersed the Spanish fleet and delivered the country from invasion. While the Earl of Essex had many commendable qualities that had helped him achieve fame and success, he also had bad qualities that ultimately led to his downfall. He was arrogant, stubborn, opinionated, and reluctant to defer to the Queen in military matters, believing that he knew best. As she was fond of the Earl, the Queen often turned a blind eye to his actions, tolerating from him what she would not have suffered in others, but the Earl overestimated the strength of her affection and underestimated her resolve. Perhaps he saw her as a foolish old woman who could be taken advantage of and manipulated. The Queen was, after all, in her sixties by this time. But if that was the Earl's opinion then he was fatally mistaken! The Queen might tolerate offence to her person by someone she cared for, but she would never ever tolerate a threat to her royal authority, and that is ultimately what the Earl became. The beginning of the end for Essex was his appointment in 1599 as Lord Lieutenant of Ireland. His job was to lead a military expedition to Ireland to crush a major rebellion there against the Queen, led by Hugh O'Neill, Earl of Tyrone, but instead of defeating the rebels he made a truce with Tyrone and then left Ireland. The Queen was outraged and, upon his return, the Earl was confined to his rooms and later interrogated by the Privy Council to explain his actions. His answers were not to their satisfaction, or to the Queen's, and the Earl was placed in the custody of Sir Richard Berkeley and confined at York House. Eventually the Queen softened towards her former favourite, and the Earl was released, but she did not renew his monopoly of sweet wines. This enraged the Earl, as he depended on the income, and he began to plot his rebellion. He blamed Robert Cecil, Chief Minister of State, for the Queen's disfavour and wanted him and his supporters removed from power. Essex had support from others who were unhappy with Elizabeth's advisors and they came up with a plan to seize the court, the Tower of London, and the entire city. However, word of the conspiracy reached the Privy Council and Essex was summoned before them. The Earl did not attend. Instead, he and his followers embarked on a rushed rebellion, knowing they had to act quickly, and the following morning, which was the 8 February 1601, he and about 200 men marched through the streets of London declaring that the Queen's government wanted to kill him and wanted to give England to Spain. The Earl did not get much sympathy from the people, however, who largely ignored him in disgust, and once Cecil had him declared as a traitor many of his followers abandoned him. By the evening, the Earl had no choice but to return to his house, where he later surrendered to the Queen's men and was arrested. Less than three weeks later the Earl was dead. He was put on trial, convicted of treason, and beheaded at the Tower of London on 25 February 1601. It was a tragic end to a very promising life and, despite believing his execution was justified, the Queen grieved for him greatly and undoubtly her depression contributed to her own death only two years later.